Let’s be honest, it’s not easy to secure the dream job these days. You don’t just wake up one morning and get handed a full time job on a silver platter. With heaps of competition, you need to find a way to stand apart from the crowd. One thing many people often overlook is personal SEO (Search Engine Optimisation) value during the job hunt. Sure, some are aware that there are certain keywords employers seek out, but how many act on it? How many make sure that their resume, portfolio and/or other forms of work are optimised properly before pressing that daunting ‘apply’ button? The answer is not many… In today’s digital world you need to ensure you’re on top of it all if you want to land the job of your dreams. We take a look at the importance of personal SEO in securing a job, as well as general SEO tips so that you can get through this job hunt as quickly & painlessly as possible! 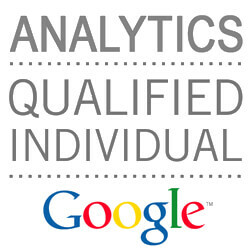 Personal SEO is applying to concept of SEO to yourself so that you rank higher among others online when searched for. This type of SEO is extremely valuable because if done well, “personal SEO makes a person highly visible in search results on appropriate searches in appropriate websites”. Helping recruiters find the best person for the job – you of course! With personal SEO being used in these ways, it’s clear that putting time into your SEO is most definitely worth it. How will personal SEO help me? Depending on how much you already know about SEO you may be wondering how useful it can be when looking for work. Sure, SEO is a valuable skill to have if you have an online business that you are trying to rank higher on Google for. But what if that’s not you? Putting some effort into boosting SEO for your social media accounts, blog, website, portfolio and more will make it easier for recruiters to find you organically. Engaging in SEO tactics means that you will increase the realm of jobs you’re hoping to find. Think about it this way; cast a wide net and catch more jobs! What’s great about SEO is that you’ll be able to promote yourself online for free. Yes you did read that correctly. Personal SEO helps to build your brand and yes – everyone has a brand. Your brand is what you bring to the table, the skills you have and how you present yourself in the job market. By investing time to learn what you need to do and implementing a strategic plan you’ll be well on your way to a job. Ahhh, keywords. We’ve all heard of them but how many of us actually know how to implement them into a piece of writing, let alone a resume? When looking for relevant keywords the first step is to assess what competitors (fellow peers in your field) have in their portfolio, social media, etc. Once you’ve set out keywords that are working for others in your field, tailor keywords to fit the job you’re looking for more specifically. For instance, say you’re looking for a job in business. The first step is figuring out what sub category of business you fall into. From there seek out keywords that are associated with the work you’re hoping to do. Take things a step further with proper keyword research. 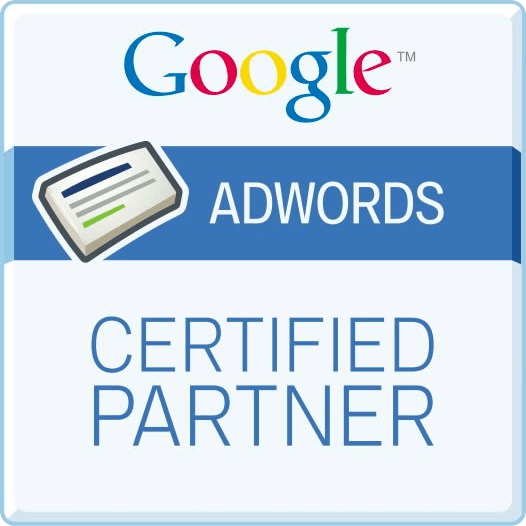 You can do so with sites that help specifically with keyword research such as Google keyword planner, Google trends, MOZ and SEMRush. With your keywords in hand, it’s time to integrate them into your resume and/or cover letter. This can be done successfully in many ways, but it’s always a safe bet to spread out your keywords throughout your resume or cover letter. It should flow naturally with what you already have to avoid drawing too much attention to just those words. Also look to the job posting as a reference and incorporate words they’ve highlighted. Now take everything you’ve learnt about keywords and throw it out the window because in personal SEO your name is the most important keyword of all. Yes, the other keywords you’ve gathered are significant BUT in order to be hired, you need to be able to be easily found online. With studies showing that nearly 80% of employers do a Google search of applicants before seriously considering them for the position, this is significant info. Moreover, it’s definitely worth paying attention to if you’re in the market for a job! Ensure that if you go by different names or variations of your name, that you stick to one name for your online presence. You wouldn’t want to miss out on a great position just because your profile couldn’t be found! Try what’s known as ‘defensive Googling’ every so often to see what comes up when you search for yourself. The bots crawling the internet are looking for keywords of course but how many should you really be including? Most applicant tracking systems will give your resume the ok signal if you have 75-80% of the crucial keywords from the application. Be sure to align your keywords with the key criteria in the original job posting. That is so long as it applies to you and that you’re a qualified candidate of course! If you try too hard to put as many of these keywords in as possible, it will most likely have the opposite effect you’re looking for. You wouldn’t want to be kicked to the curb would you? Search intent refers to the reasoning behind why people search for certain things online. Are they simply searching for information? Perhaps they’re looking to purchase something? Whatever the case may be, Google has gotten better and better at deciphering why people are searching for certain things. By understanding the reasoning behind a search you will be able to rank higher on Google, which is ultimately the goal. With four main types of search intent known as informational, navigational, transactional and personalised results, you really need to put yourself in your audiences’ shoes to best understand their intent. Making sure that your content fits the search intent of your audience is key! With a solid understanding of search intent you can put two and two together. You should be working to understand why a future employer/recruiter is searching and what you can do to get in the spotlight. Play around on Google, as well as job listing sites or LinkedIn while thinking through the lens of your target audience. What are they looking for when they are trying to find someone to fill the role you want? What specific words are they using? For example, say the job you’re interested in is a marketing manager role, the hiring manager may be searching for someone with certain skills. They’re most likely searching for someone who has management experience, leadership skills, creativity, attention to detail, project management skills and is people-oriented. The more research you do, the better you’ll understand the search intent of your employer. It also wouldn’t hurt to take a look at your peers online and see what distinguishes them from you. By looking at people in your field who rank higher online, you’ll discover what keywords they use, what content they are producing and much more. Look to a range of people and compile a list that you can refer to when optimising your personal SEO. Optimising content comes in many forms. There’s a lot to consider. It starts with meta-descriptions, titles for pictures, focus keywords, internal & outbound linking and readability. There are a few basic steps you can take to optimise online content further. This can be done through including certain aspects on the backend of the CMS platform you’re using such as WordPress. There are certain plugins that you can download such as Yoast which make the optimisation process much easier for beginners. If you’re just starting out and looking for quick techniques to ramp up your optimisation, there are a few things you can do. Starting out with putting a title and alternate title on your pictures will get you up and running. For the title, describe what’s in the picture and include your blog/name/company at the end. For the alternate title, reverse those two and put the picture description at the end. Too easy! Doing so makes your pictures easier to find on Google and will link back to your page which is key. Another simple step you can take is by identifying the keyword in your writing. This doesn’t necessarily always work for a resume/cover letter unfortunately. While that is so, it’s great for blog posts or written work on a portfolio. To choose a focus keyword, ask yourself what the main topic you’re discussing is. Once you have that figured out, integrate it into the first paragraph of your writing, the beginning of the title and your meta description! Don’t stop once you’ve got personal SEO down pat! Instead, further your chances of being recognised by employers and/or recruiters by taking up more general SEO practices. The more you put in, the more you will get out! Another way that you can build an online presence is through social media. With various channels at your disposal, choose which ones align best with your business/personal brand. Next you can tap into reaching a larger audience. LinkedIn is usually the go-to when it comes to job hunting. This is due to the number of recruiters that are looking for someone to employ, as well as the high volume of job postings. With social media having blown up in the past decade, you can be sure that optimising your social accounts will affect your chances at finding the work you’re after. Keep in mind that those who update their work experience and profile on LinkedIn regularly are 18 times more likely to be found by recruiters. Try creating a headline for your LinkedIn to express your hireable skills right off the bat. Use words such as ‘experienced’ and ‘demonstrated’, alongside the keywords you’re hoping to rank for. Watch our video for quick tips on how to develop a social media strategy in order to enhance your SEO. Having good authority online will always help you come across new work opportunities. One way that you can work on building authority for yourself is through consistent blogging. To be seen as a valuable source online you need to provide quality content on a consistent basis. This doesn’t mean you need to have new posts up every day, but we’ll touch more on quantity further in this piece. You may be thinking that blogging doesn’t apply to the field you’re looking to work in. Or maybe it’s not really your thing. What’s great about having a blog is that you can discuss whatever interests you. It doesn’t have to necessarily align perfectly with a job you’re going for, in order for it to be of use when looking for work. For example, let’s say your background is in IT and you’re not really one with words. You have a few hobbies, one of which is flying drones. You could start a blog where you explore what you’ve learned about drones or where you can find the best ones. By finding a way to discuss your interests in a blog format that could be helpful to others, you are demonstrating to your target audience that you are knowledgable about the topic at hand. The more that you establish your blog, the better it will be when it comes to job hunting. Keep in mind that consistency is key and that Google and the SEO gods will only reward your efforts if you keep up with it. If you haven’t already created a portfolio with examples of your work, now’s the time! A portfolio is an excellent and creative way to express your skills to an employer. It gives you the opportunity to display the skills you have and what skills you’re working to improve on. Include relevant links to work you’ve done for past employers, as well as include posts of your own that contain the content. It doesn’t just have to be past work. It can also play off your interests and relevant experience you’ve had. Someone who’s interested in a graphic design position but also has interest in videography should include related posts they’ve written, perhaps surrounding their journey with video production. It also wouldn’t hurt to include a link to a blog or video content they’ve created to demonstrate that they can apply the skills they have to other interests. While this one seems like a no brainer, there are a surprising amount of people who focus on quantity over quality of the posts being produced. It’s more important to reach the right readers, rather than the most. You can use your knowledge of search intent to research what content will be of most use to your audience. One thing that people often overlook when putting out content is what the speed of their site is. Google’s algorithm picks up on how fast your site is and gives preference to those pages that have a faster loading time. In the end this will result in more traffic. You can test how fast your page is with Google here. Once you know how fast your site is running there are a few things you can do on your own to make sure your pages load faster. You can compress files, limit the number of pages that are redirected, fix broken links that result in 404 errors, optimise your images and more. Surely, you can’t rely on a catchy title or clickbait when hoping to hear back from an employer, but integrating clickbait with keywords can be a useful tactic. Taking useful keywords that are relevant to your job experience/skills takes the idea of clickbait and turns it on its head. While you may think that a clever title is only really needed in a blog post or website, there are many other uses when seeking out a job. Of course your blog, website and portfolio are a given but have you ever thought about how you can use keywords in your resume, cover letter or follow up emails? Numbers – Not only will including a number in your title such as “Top 10 bakeries in Melbourne” cognitively appeal to people, but it also tends to do well in the search engine results. Dates – Referring to a specific time in your title such as the year/season/month you’re writing about can help rank higher on Google if the topic being written is relevant to a date. Questions – Asking a question in your headline satisfies what is known as a curiosity gap. For example, “Where should you go on your next European getaway?” is a much stronger headline in comparison to “Destinations for your next European getaway”. Both use the focus keyword European getaway but the question offers more curiosity and makes it more personalised. Length – Title length can be a tricky game but your best bet is to stay within the 50-60 character range. Synonyms – With a good understanding of search intent under your belt now, you will understand that when people search for something, they don’t all do it in the exact same way. People use variations of the same idea or thing they’re searching for so you should do the same with your title. Include a variation of a keyword you’re trying to rank for to further optimise. Call to action – Call to action words are words that encourage the reader to engage. Try words like buy, access, listen, learn etc. While integrating personal SEO into your resume will greatly impact who and how many people are viewing your job applications, the content itself is crucial. Seems like an obvious point, but it’s easy to forego doing a proper edit and optimisation of the content in your resume itself after taking many other steps prior, to get you closer to a job. Make sure to streamline your content, removing any unnecessary and passive words or phrases. Some of which may be along the lines of ‘great communicator’ , ‘results oriented’, ‘proven ability’ and ‘responsibilities included’. These will only hinder your chances. Having terms that are too general is not good and they need to be replaced by more specific and direct terms. Become an active candidate by including words such as ‘career achievements’ or ‘directed…’. This ensures that once you’ve gotten your resume in the hands of an employer or recruiter it’s more likely to stay there. You don’t want all of your hard work being tossed within the first five seconds do you? Now that you’re a personal SEO wizard, use the skills you’ve applied to yourself and turn them around on possible employers. Seek out the hiring manager/CEO/founder etc of companies you wish to work for and reverse search them through their LinkedIn profiles. This will give you more information regarding possible keywords to include when applying for the job. It will also give you more insight about the position and the people you may work for in the future. Having this research on hand will also come in handy when preparing for interviews, so much so that you might just land the job! SEO is a powerful tool when in the right hands. With that being said, if not done properly it may actually hinder your job hunt. So take the time to understand what needs to be done to get the best results with SEO. It will be worth it. We hope you’ll take our useful tips and tricks to heart when it comes to optimising your resume and landing that perfect gig. So what are you waiting for? The sooner you get started with personal SEO, the sooner you’ll be walking into your first day at work! 2 thoughts on "Personal SEO – Why You Need To Be Doing It To Land A Job"